So why do I think that I'm not? About a year ago, we had some new friends over for dinner. They were lovely, their (3) children were lovely, and we had a lovely time. As I was newly pregnant with Rowan, I was closely observing the wife's parenting-several-children-at-one-time-with-MAKEUP-ON-and-NO-YELLING skills. At some point during the evening, as she and I were discussing our lives as mamas and all that it entails, she commented, "I'm just really good at being a mom". For some reason, this statement struck me the wrong way. I couldn't really figure it out. I mean, she clearly WAS a good mom (after dinner, her 6 year old daughter recited a several stanza classical poem for us, while she calmly dealt with her younger sons' repeated breakdowns), and what's more, I really liked her. So I knew it wasn't irritation or jealousy (ok, maybe a bit of jealousy). I've reflected on this conversation a lot over the last year. It always surprises me how that one moment towered over the rest. For a long time, I wasn't able to shake the feeling it left me with.... nor figure out what feeling it really was - until I realized that what I actually heard her say was, "it's really easy for me to be a good mom". What was pushing my buttons the wrong way was the idea that she was a good mom because it was easy for her, and I must not be because it isn't easy for me. Let me clear it up further - IT'S NOT EASY FOR ME. And somehow, somewhere along the way, I got the two confused. Now, I realize that I've always had this filter - whenever I see a mom laughing and chasing her kids at a park, I assume that they're having a good time because it's just so easy for her to shut out the world and focus on spending time with her kids. A mom successfully juggling morning wake up/meal prep/school drop off must be doing a great job because it's a breeze for her and she's just going to take a nap later anyways. Parents who refuse to simply plunk their kids in front of the tv must never have anything else that they desperately need to be doing. And it's not that I don't do these things - but somehow, deep down, I've felt like I'm not good at them because they're not always easy for me. It's actually ridiculous if you think about it - would you say that you're not good at your job because it's difficult for you? No, in fact - the harder your job is, the more likely you may be to feel a sense of pride and accomplishment in your ability to stick with it and get the job done. 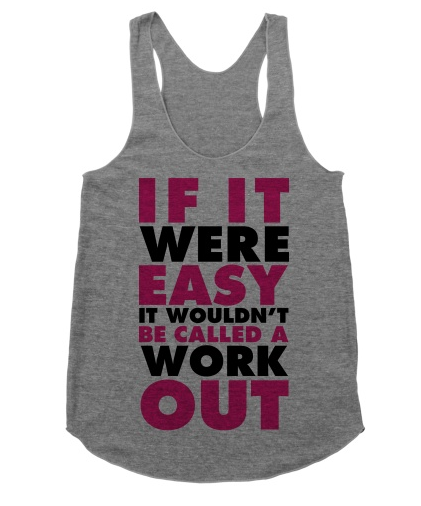 Would you say that you're not good at exercising because it's really challenging? The opposite - the more resistance you face, the sweeter the reward. And we know this, intuitively. There are a lot of great parenting articles finding their way around the internet right now. Some are about how to look on the bright side of parenting, and others are about facing the challenges. I find myself in the middle - and I have a feeling I'm not alone. Because life as a mom is indeed full of bright, shiny, funny, memorable, endearing, and precious moments. But it can also contain such harsh realities as death, prolonged illness, very little sleep, behavioral issues, life transitions, sibling rivalry, teething, bullying, and maybe above all - OUR HUMANITY. I'm all for a posture of gratitude and contentment. But I also have to be realistic, and honest - IT'S NOT EASY FOR ME. So, why do I make it even harder for myself by believing that to truly be a good mom, that it should always be easy for me? What if I was able to hold the two together, in the beautiful tension that all good and truly meaningful things share? I'm going to be like my new friend. I'm going to believe that I am really good at being a mom. Not because it's easy for me, or because I always do the right thing. In fact, part of the reason I'm good at being a mom is BECAUSE it isn't easy for me. I'm not going to feel sorry for myself that it's not always easy. I'm going to "find my size" in the joy of choosing a life that requires me to grow and stretch and reach. And I'm going to dare to believe that I'm not alone (if I am, and it really is easy for the rest of you, please don't say anything. Ssshhhhhhh). Another wonderful thing floating around online right now is this video: showing a series of moms who describe themselves quite negatively, only to then be blown away by footage of their own kids' descriptions of them. I wonder how many of these moms were viewing their daily struggles and actions through the filter of whether pouring all of their heart, body and soul into another person was easy for them or not. Maybe if we saw ourselves the way our children did, we would be asking very different things of ourselves. Maybe we could believe that we are good moms. Sometimes I get impatient and have a hard time keeping my cool. And I'm a really good mom. I grit my teeth and usually punch or elbow my husband when the morning call comes too early. And I'm really good at being a mom. Sometimes I feel empty and like I have nothing left to give. And I'm a great mom. I often don't know how to engage my son and wish I was more creative and imaginative with him. And I'm a really good mom. I really struggle not to get angry when things don't go smoothly during our morning routine. And I'm a good mom. Sometimes I want to give up and go away and live another life. And I'm really good at being a mom. 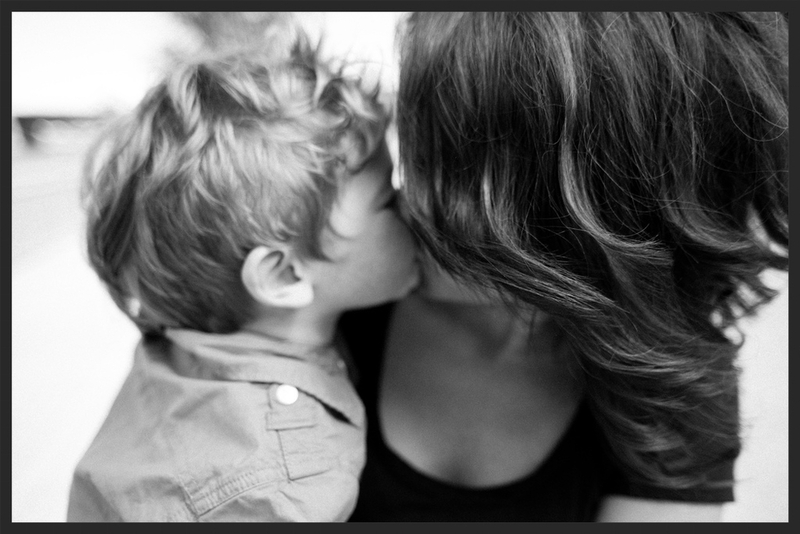 My favorite sweet-nothing to whisper to Aiden at bedtime is, "I'm so happy to be your mom". I usually feel like saying it after a really hard day. It's when we both need to hear it the most. Maybe it would be nice to whisper instead, "it's so easy to be your mom." But really, even as I say it, I feel it's emptiness, the way it falls flat. We all know the familiar refrain of "love is a choice". I think that loving a child, with all of the intention and forgiveness and learning that it takes, is best characterized by it's choosing. I choose to be a good mom, because I want to be one. It's not easy for me, but I'm really good at being a mom.